Father of ;murderer who committed worst mass shooting in US history was notorious bank robber, one of FBI's 10 most wanted men. The father of the shooter who murdered 58 people and wounded over 500 others in the worst mass shooting in US history had an extensive criminal history and was on the FBI's most-wanted list, the Daily Mail and NBC reported. 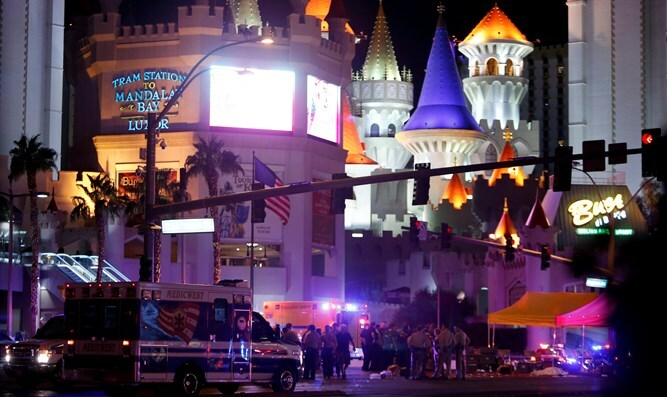 Stephen Paddock opened fire at a country music concert at the Mandalay Bay resort hotel in Las Vegas just before 10:30 p.m. local time Sunday night. According to the reports, Paddock's father was Benjamin Haskins Paddock, who was arrested in 1960 for robbing an Arizona bank. The elder Paddock escaped from prison in 1968 and spent eight years on the run. Paddock was placed on the FBI's most-wanted list in 1969, where he remained until he was captured outside a bingo parlor in Oregon in 1978. He was one of the organization's '10 most-wanted' men. “Since he has utilized firearms in previous crimes, has employed violence in attempting to evade arrest and has been diagnosed as being psychopathic, Paddock should be considered extremely dangerous,” Palmer M. Baken Jr., the agent in charge of the Phoenix FBI office said at the time, according to the Tuscon Daily Citizen. According to the FBI, the elder Paddock was "diagnosed as psychopathic" and possibly had "suicidal tendencies."